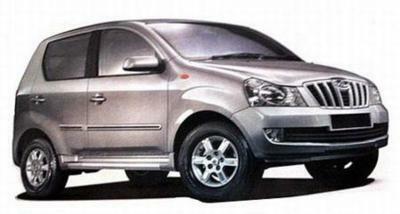 Indian auto major, Mahindra and Mahindra (M&M) would be launching its new SUV as Quanto in September this year. Built on Xylo platform, Quanto has less than 4 meter lengths making it qualify for reduced rate of excise duty. The new SUV is expected to be competitively priced which my start from Rs 4 lakh slab. The 7-seater vehicle would be equipped with 1.5 liter m-Hawk CRDe diesel engine with a power of 100 Bhp. With a launch of Quanto, M&M would become only automobile company in India offering utility vehicles across all segments. The company already has the portfolio of Bolero, Xylo, Scorpio and XUV500.